So many of us struggle with finding restful sleep. Either we have trouble sleeping or find it difficult to stay asleep. Then there are those of us who sleep through the night, but the sleep is restless. This sleeplessness can make one feel irritable and fatigued the next day. It can also have harsh long-term impacts as sleep loss is linked to diabetes, heart disease, obesity, etc. However, there are several ways you can improve your sleep. These include sleep hygiene habits such as not using your cell phone at night, taking a warm bath before heading to bed, etc. A new research shows that being rocked to sleep can also improve sleep quality. In fact, it can also improve memory consolidation. What Does This Study Reveal? A new research which has been published in the Journal of Current Biology has found out that repetitive but slow movement can help adults sleep better. Moreover, it can also improve memory consolidation. For this research, two studies were carried out at the UNIGE Faculty of Medicine’s Department of Basic Neurosciences. The first one, which was led by Laurence Bayer, had 18 young and healthy individuals participating. These participants slept at the institute for two nights and their brain activity, heart rates, and respiratory rates were monitored. The first night they were made to sleep on a moving bed while the next night they slept on a still bed. The study found that on the first night, participants experienced better sleep. They woke up fewer times during the night and had a long restful sleep. This concluded that being rocked to sleep improved their sleep quality. The same study then analyzed their memory consolidation by making the participants learn sets of words in the evening and then remember them in the morning. The outcome of the second test also showed that being rocked to sleep proved to be beneficial. Researchers explained that this was because sleeping in motion synchronized brain wave activity between the thalamocortical-cortical networks. Then a second study was carried out under lead researcher Paul Franken on mice. This study found that when the rodents’ cages were rocked, they fell asleep more quickly and stayed asleep for longer. However, unlike humans, they didn’t experience improved sleep quality. This study also studied the vestibular system, a brain area that is crucial for improved sleep. In this regard, two groups of mice were rocked. The first group had non-functioning sensory receptors in the ear whereas the control group had altered vestibular functionality. Resultantly, the first group didn’t experience any benefits from the rocking motion proving that the stimulation of the vestibular system is what makes motion effect sleep. Further research on this may identify new ways to treat patients of memory and sleep disorders. Several people struggle with interrupted and restless sleep. 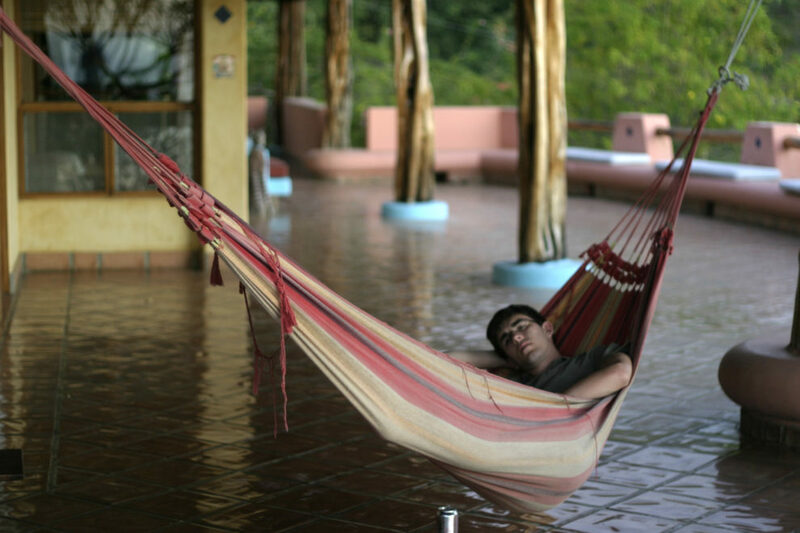 Switching to sleeping on a moving bed of sorts such as a hammock may be able to help. Gentle slow motion when sleeping can give one a deeper sleep with fewer mid-sleep waking breaks as proved by a new research.